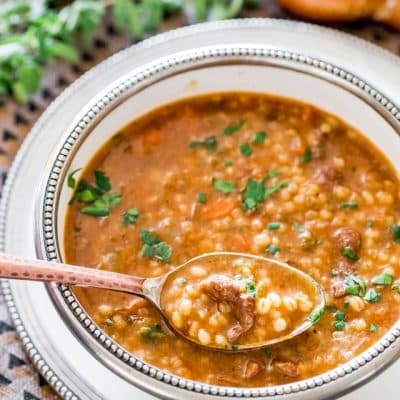 Beef Barley Soup – rich, satisfying, comfort in a bowl. A hearty and delicious soup, loaded with beef and veggies and full of fiber. I have to tell you, there is nothing like a good hearty soup. A soup that warms all your insides, and makes you feel good all over. And this isn’t just any soup. 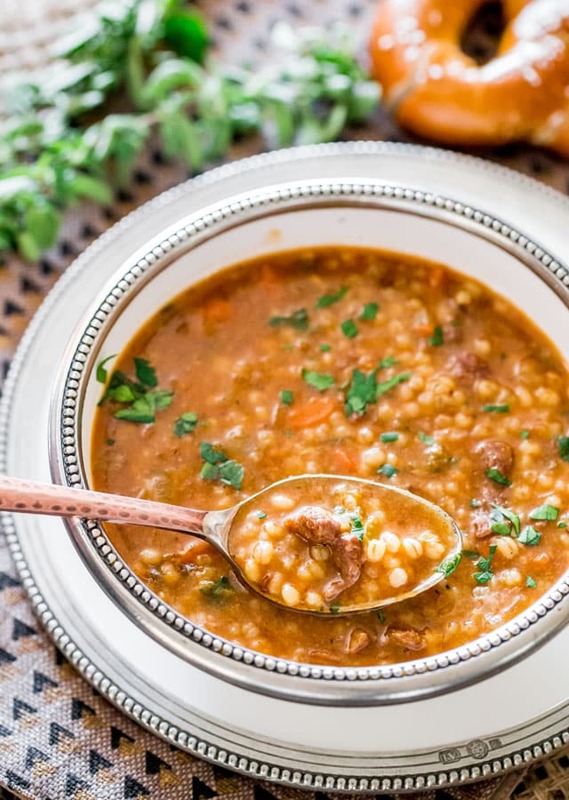 This soup is unbelievably delicious, warming and just so meaty and loaded with barley and veggies, that you’ll want to run and kiss your neighbour. You see, I got a thing for soups. I love soups like this, soups that can be eaten as a meal, and soups that when you’re done eating them, you feel like your soul has been soothed. I could eat soups like this every day, even in the summer. But you probably want me to cut to the chase already and tell you how to make this soup already, right? 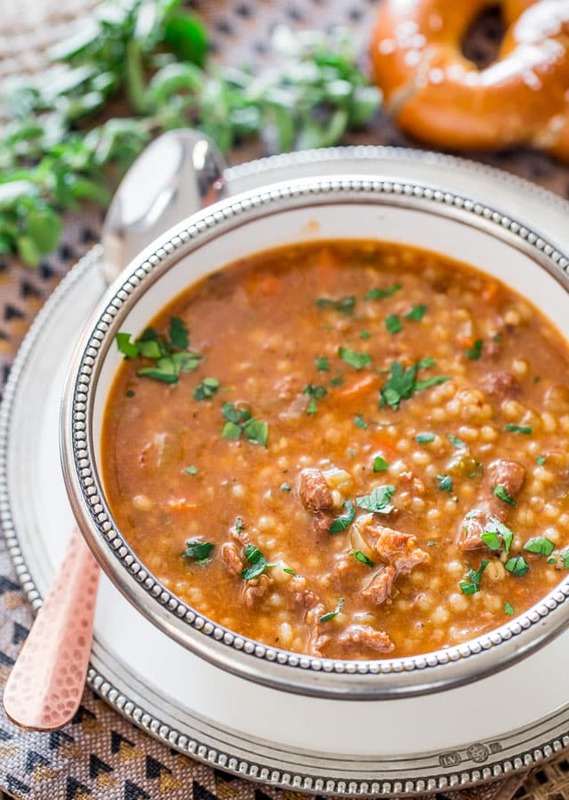 The best beef for beef barley soup is beef stew meat that you can find in all grocery stores. It comes already cut into cubes, ready for you to just cook with it. If you cannot find beef stew meet go for collagen-rich cuts. 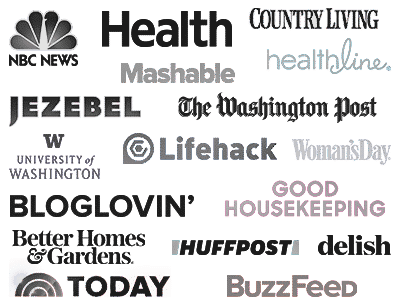 Collagen is the tough connective tissue you find in well-used muscle groups. Examples of collagen-rich cuts are chuck or short rib. These cuts of beef are usually tough if you cook them for a short time, but get extra tender when you cook them for a long time. Start by seasoning the beef a bit with salt and pepper then dredge it through some flour. I usually put my beef and flour in a large ziploc bag, close it, and shake the heck out of it until each piece of meat is covered in flour. Shake shake shake! You’ll then want to brown your meat in a bit of oil, this will create those brown bits in the bottom of your pan which will really give the soup that rich flavor, trust me, those brown bits is where it’s at! You then need to add some veggies, and let’s face it, what’s soup without onions, celery and carrots? It’s the mirepoix of soups, the trio of aromatics. No soup leaves home without it. Saute those veggies for a bit and scrape those brown bits, then I like to add some tomato paste to my beef barley soup and a bit of oregano. Then you just have to add the meat back, add the beef broth and water and let this cook for a while to develop those flavors and cook the beef to the point that it melts in your mouth. And that’s just how you want it. You’ll want to use low sodium beef broth here, just to reduce the sodium in the soup a bit, but you do want to use beef broth or vegetable broth though. After the meat and veggies had some time to cook together and get all happy, you can then add your barley. Barley needs about 30 minutes or so to cook, mine was done in 30 minutes, and then you’re pretty much done, just garnish with some fresh herbs like parsley or more fresh oregano and you can now enjoy this soup. That’s about all there is to it, most of the time you just wait for stuff to cook. It really is simple to make soup, nothing much to it really. So there you have it, folks, my version of a yummy beef barley soup. This was so delicious! I was craving beef with barley soup and so my husband made this in the crockpot. Fabulous! Thank you so much for a great recipe. 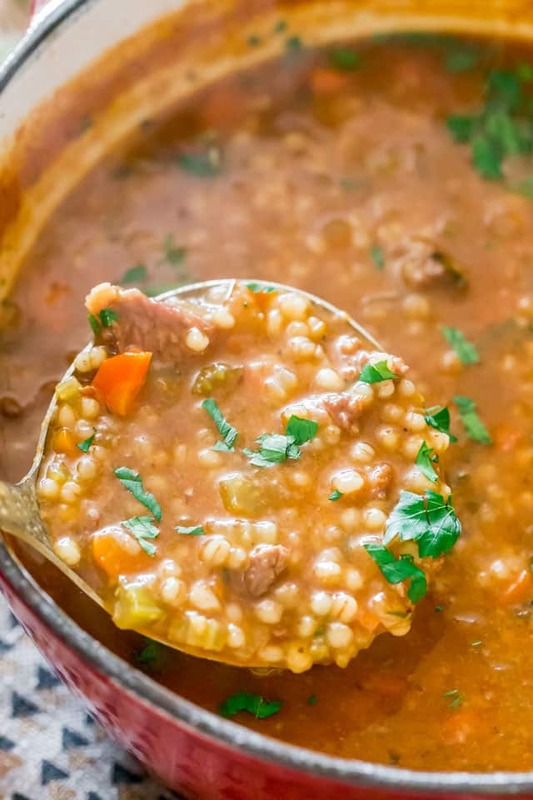 Beef Barley Soup - rich, satisfying, comfort in a bowl. A hearty and delicious soup, loaded with beef and veggies and full of fiber. Add the garlic, oregano and tomato paste to the pot and stir. Add the meat back to the pot, then the beef broth and water and season with salt and pepper if needed. Bring to a boil, then turn down the heat to a medium and cook for about 45 minutes, stirring occasionally. You want to cook this for so long so that the beef becomes tender, it will melt in your mouth. If you can't find barley, use rice or couscous instead. If you make this ahead of time, add the barley the day you serve it. 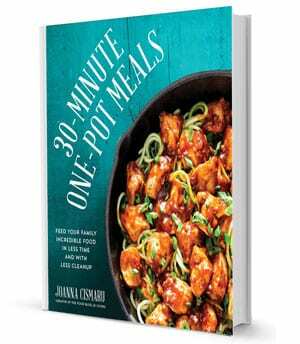 This can be made in a crockpot. Cook for either 4 hours on high, or 8 hours on low. I just made this with a couple of changes and it was just outstanding! What a wonderful dinner. Protein, vegetables and carbs. The perfect marriage! Highly recommend it. quick and easy! very tasty!! thank you. This is so good!! !We loved this soup,reminds me of cooking with mom and she has been gone for 25 years.Thanks. Thank you for your lovely comment! We’re so glad we can bring back nice memories for you.